Want to Learn How to Build Amazing Credit Scores? 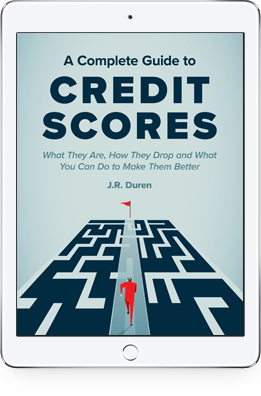 Our FREE eBook will teach you how to build amazing credit scores, save thousands and score the best deals on loans, insurance, and credit cards. Enter your email below to get a free copy of the eBook and to receive our weekly newsletter! Everyone has advice about how to boost your credit scores. But opinions are, ironically, like credit scores: Everyone’s got them. HighYa’s goal is cut through the clutter of all the opinions and give you solid advice about credit scores that can transform you into a professional consumer. A Complete Guide to Credit Scores provides you a comprehensive yet easy-to-understand approach to your scores: what they are, how they’re calculated and how they affect you. But, it goes beyond that. We provide specific steps and examples to help you create a lifestyle of good budgeting and good credit that will bring you financial stability and raise your scores. So, download our eBook, read it through and do what we do: Share what you learn with others.